Tarps Plus Blog: In Need Of A Leaf Tarp? In Need Of A Leaf Tarp? Are you in need of a leaf tarp? well right now is the perfect time to steal one at a ridiculously low price. Sometimes having to gather leaves can be more than a hassle, gathering then having to take them back to the trash can and in some situations for some of us it can be a hassle. 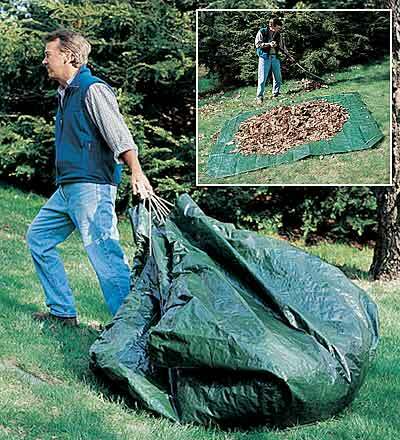 This is when the Leaf tarp comes in use, you simply just mount all the leafs into the leaf tarp and onto the trash can easy as 123 and you are done without having to make multiple trips. The Leaf tarp is more than convinient and it also can serve for different purposes. Take a look at the selection of all purpose tarps that www.Tarpsplus.com has to offer. I got 2 leaf tarps last year thinking they would rip fast and I would end up needing another but I still have both, they are of great quality. Good deal on them too. Super Heavy Duty Custom Canvas Tarps. Hurricane Covers Now On Sale! Looking for Tarps at a Discounted Price? Use Your Poly Tarps in Unexpected Ways!